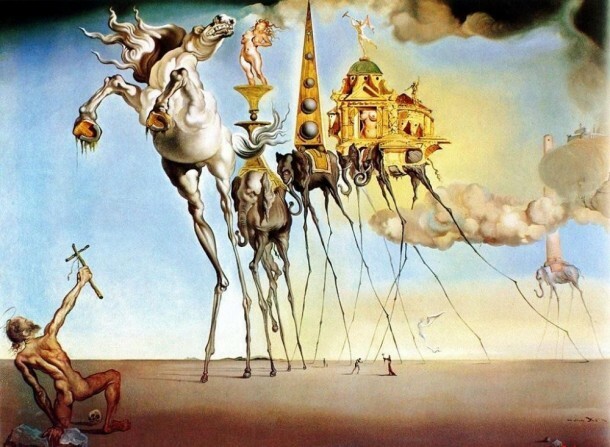 World Fine Art Professionals and their Key-Pieces, 83 – Salvador Dalí | Marbella Marbella – Adelante! 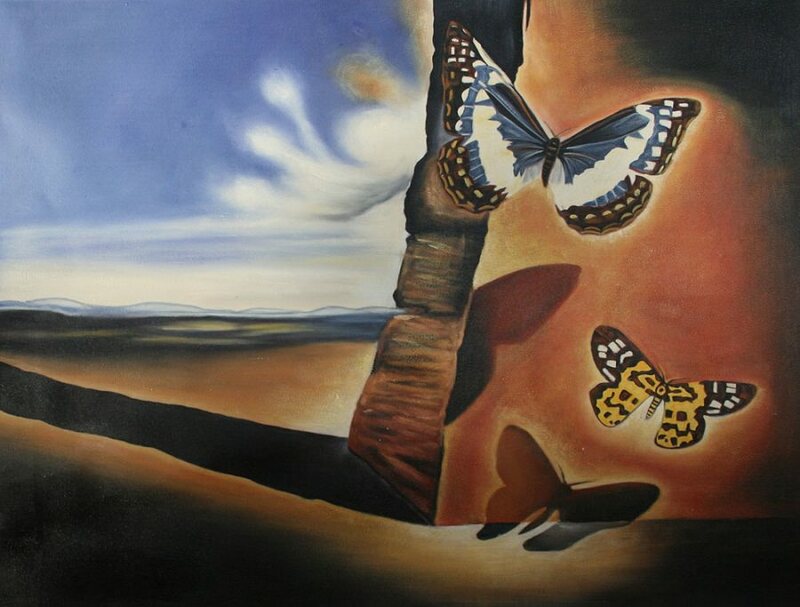 ‘I create painted dream photographs’, Salvador Dalí once said this about his work. The effect was mainly achieved by a clever trompe l’oeil (cheat the eye) technique and a sophisticated use of perspective. Picasso spoke of Dalí as a ‘constant running outboard motor’. He himself had the idea that he was a genius. On that basis he provoked like crazy. That was not always well received. But he considered it part of the deal. 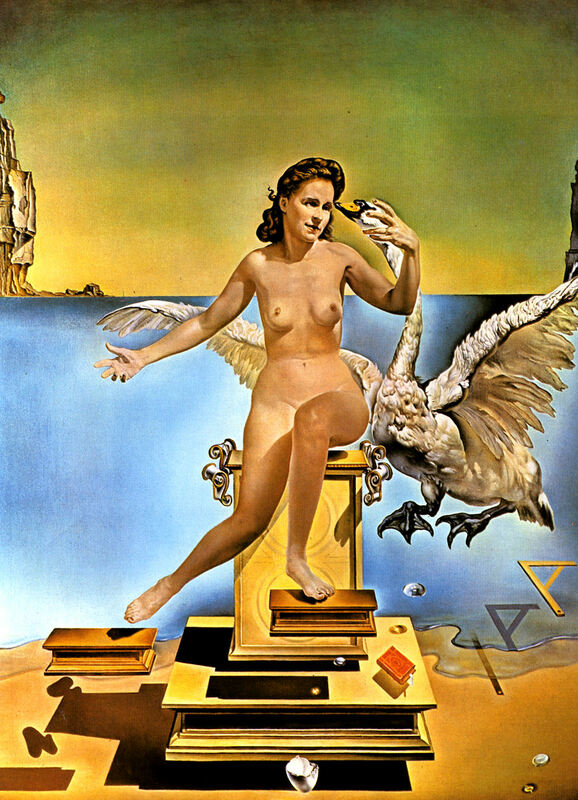 Salvador Felipe Dalí Domenech was born on May 11, 1904, at a quarter to nine in the morning, as the second son of the notary Don Salvador Dalí y Cuso and Felipa Domenech. That took place in Figueres, a small town at the foot of the Pyrenees, 25 kilometers from the French border, in Catalonia. Exactly nine months and ten days before his brother – who had the same names – deceased at the age of tree. The practice of his father ran well, the family had a vacation home in the fishing village of Cadaques. When he was ten Salvador received drawing lessons from a friend of his father, the Impressionist painter Ramón Pichet. At fourteen, he went to art school in Figueres and received drawing lessons by Juan Nuñez. That same year he had his first exhibition in the city theater of Figueres. The following year Salvador founded a school newspaper in which he wrote stories about El Greco, Goya, Velazquez and Michelangelo. He also wrote about impressionism and cubism. When he was eighteen, he went to Madrid to study at the Royal Academy of Arts. But he was not the easiest one. He was suspended for a year in the second year. But despite this, he kept on studying. He absorbed all art styles and interesting painters. He had great admiration for the neo-classical work by Pablo Picasso and he admired his use of perspective, like that of Juan Gris. In a student home, the Residencia de Estudiantes, he met Bunuel, the film-maker, and Federico Garcia Lorca, the poet. They were soul mates. The following year Salvador held his first ‘one-man show’ in Barcelona. That show was special. But again he was expelled from the academy – for the second time – because he didn’t feel like doing exams. In 1926, Joan Miró came to visit him in the summer cottage. Miró was full of Cubism and the spark jumped over. 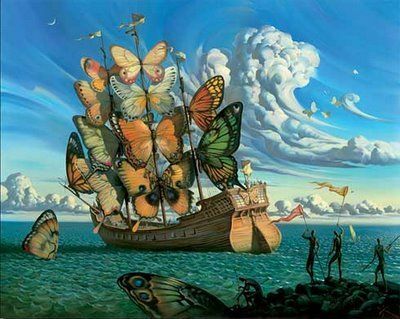 Dali was also going to make cubist work. The following year he visited Paris, where he met Picasso and André Breton, the leader of the Surrealists. He made a breakthrough in 1928 when three of his paintings, including ‘The bread basket’ were exhibited at the triennial ‘Carnegie International Exhibition’ in Pittsburgh. The following year he had a solo exhibition in Paris and he made with Bunuel ‘Un chien andalou’. They ridiculed the poetry of Lorca in this film and Lorca was not so happy. 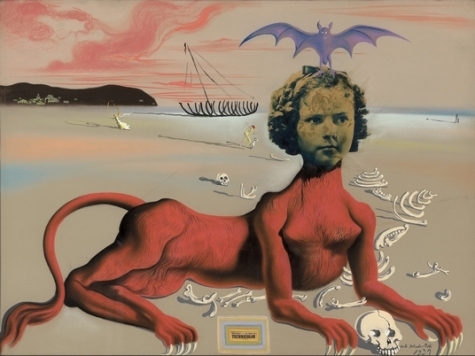 The friendship with Lorca was over, but flourished with the Surrealists. Precisely because of the surrealist approach to the film. Andre Bréton – who wrote the First Surrealist Manifesto – Picasso and Le Corbusier were allowed to be present at a preview of the film, which premiered in October 1929. In the same year he met Gala Eluard. Together with her husband Paul Eluard she came to visit Cadaques. She became his love, his muse and manager. Dali soon became the leader of the surrealist movement. 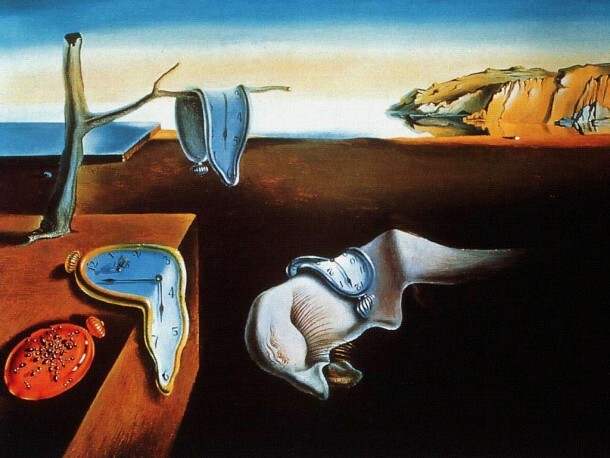 His painting ‘The Persistence of Memory’ (1931) is, like ‘Burning Giraffe’(1935), one of the emblematic works of the surrealist movement. On July 17, 1936, the Spanish Civil War broke out. He was arguing with his co-surrealists who found him apolitical. He was thrown out of the group. Despite this he exhibited his work all over the world in the galleries that had discovered surrealism. 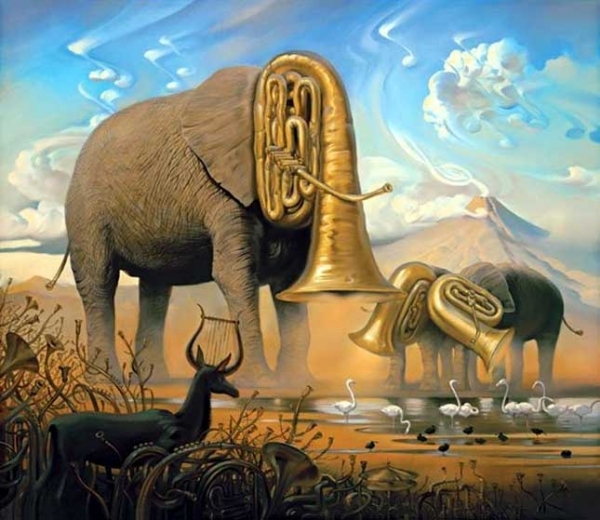 Although Dali rejected the Marxist component of surrealism, he remained loyal to the other component, the fascination with the wealth of Freudian images. The Civil War made it hard to go to Spain. He stayed in Italy and fled with Gala in 1940 to America. By 1940, he changed his style. His classical period began. He made a series of eighteen large paintings which had a scientific, historical and religious theme. The Museum of Modern Art in New York exhibited his work, along with that of Joan Miró, at a major exhibition. 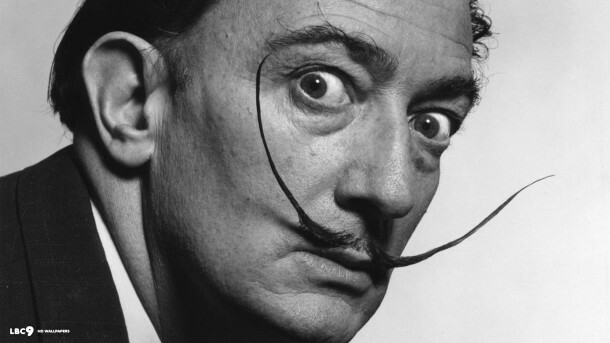 On the occasion, he published his autobiography, ‘The Secret Life of Salvador Dali’. 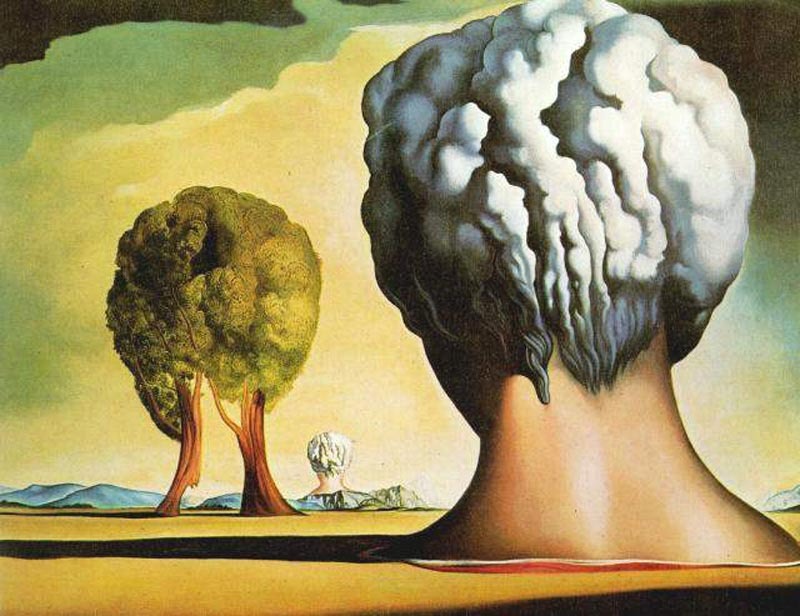 In 1948 Dali returned to Europe. During the summer he worked in Port Lligat, in the fall in Paris and winters in New York. Together with the young Spanish architect Pérez Piñero Dali converted the old municipal theater in Figueres to a surrealistic museum. In it came his own works and those of artists he admired. On September 23, 1974 it was opened. Around 1980, two extra musea were added, in Paris and London. In the small town Púbol Dali meanwhile had bought a castle. 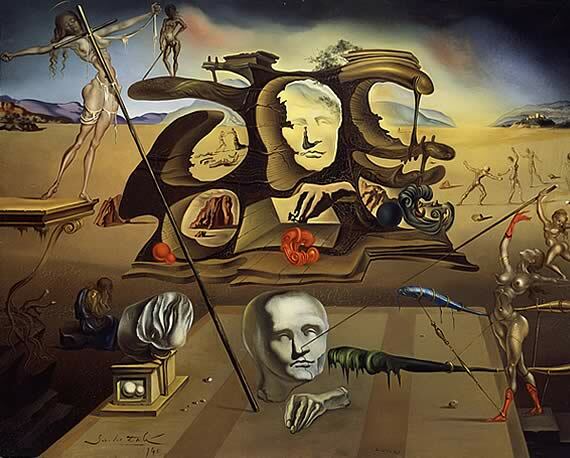 In July 1982 Dali received from the Spanish King Juan Carlos I the title Marquis of Púbol. Gala died in the same year, at the age of 89. Also Dali’s health began to deteriorate. In 1984 a pacemaker was implanted. Lonely he lived opposite the Teatro Museo. On January 23, 1989 he died in the Galeata tower of the museum due to heart failure and breathing complications. Dali was not only a painter but also a draftsman, engraver, photographer, designer of jewelry and furniture, he made sets and costumes for ballet and film, he was a writer of screenplays, novels and polemical essays.